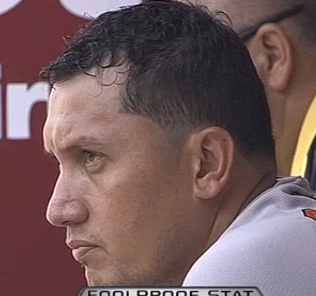 Freddy Garcia is throwing a no-hitter for the Baltimore Orioles against The The Angels Angels of Anaheim. At first, I struggled with this. First of all, I thought Freddy Garcia was still on the Mariners. (What can I say? My mind is stuck in the late 90’s). Second, it was his first start on the Orioles. His “debut”, one might say. Debuts for old dudes are counter-intuitive oxymorons. Freddy Garcia making his Orioles debut would usually fill up the headlines on a regular day, but somehow it slipped through the cracks. As I watched more, I realized that Freddy on the Orioles was a good thing. It was the melding of two improbable entities. When impossible comes together, wonder blossoms, sparks fly (whenever you smile). Freddy taught me a lot. He taught me that his age didn’t matter. He taught me that beauty comes in all shapes, sizes, colors, genres. Garcia also taught me that change isn’t hard. Life involves change. People say change is hard. But in baseball, a fastball is hard. A change is slow… stupid. And the only thing slower than a change-up is a Freddy Garcia fastball. This entry was posted in #analysis, ALL The .gifs, Randomness and tagged Baltimore Orioles, freddy garcia.